4 bedroom, sloping roof style ultra modern house plan in an area of 3424 square feet (318 Square Meter) (380 Square Yards). Design provided by Evershine Builders from Kozhikode, Kerala. Ground floor area : 2027 Sq.Ft. First floor area : 1397 Sq.Ft. Total area : 3424 Sq.Ft. 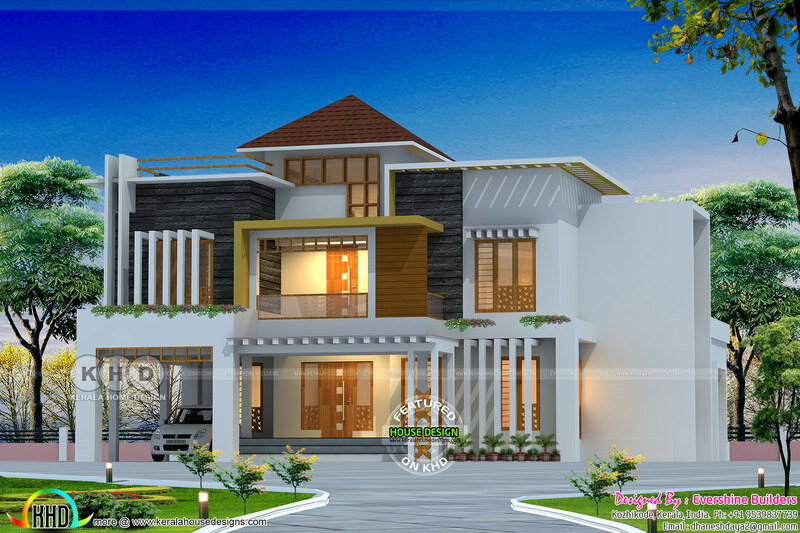 0 comments on "Mixed roof style ultra modern house in Kerala"